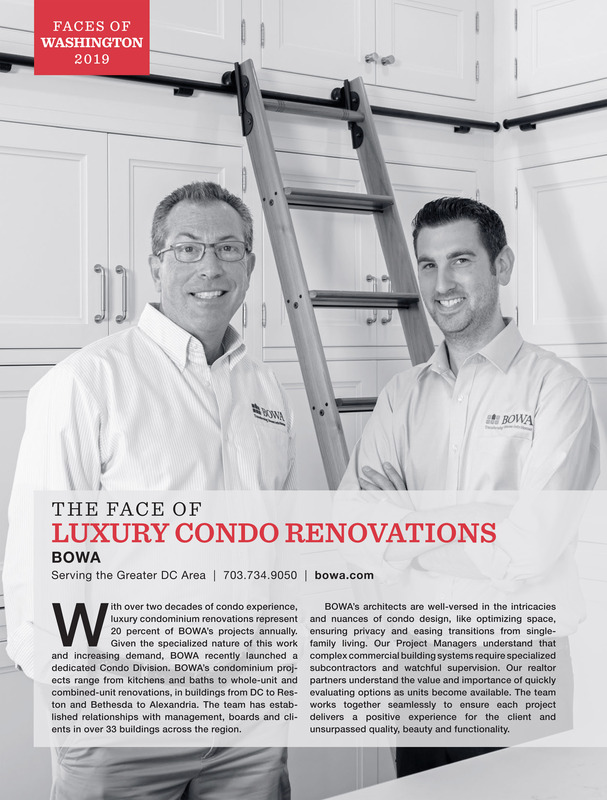 With over two decades of condo experience, luxury condominium renovations represent 20 percent of BOWA’s projects annually. Given the specialized nature of this work and increasing demand, BOWA recently launched a dedicated Condo Division. BOWA’s condominium projects range from kitchens and baths to whole-unit and combined-unit renovations, in buildings from DC to Reston and Bethesda to Alexandria. The team has established relationships with management, boards and clients in over 33 buildings across the region. subcontractors and watchful supervision. Our realtor partners understand the value and importance of quickly evaluating options as units become available. The team works together seamlessly to ensure each project delivers a positive experience for the client and unsurpassed quality, beauty and functionality. View more posts from our condo experts.